45 degree elbow for 21.5mm PVC-U overflow pipe - use with PVC cement. 90 degree elbow for 21.5mm PVC-U overflow pipe - use with PVC cement. Coupler for 21.5mm PVC-U overflow pipe - use with PVC cement. 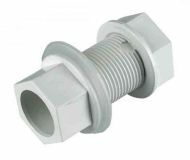 Tank connector for 21.5mm PVC-U overflow pipe - use with PVC cement. 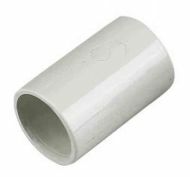 Tee for 21.5mm PVC-U overflow pipe - use with PVC cement.